The glamor, authenticity, sophistication and the thrilling experience offered by the all new MV Agusta Brutale RR 1090 is simply amazing. Being the gorgeous naked motorbike it has everything to impress the passerby. The eye catching body works, comfortable seat, attractive headlamp and everything about the vehicle is admirable. Along with the stunning appearance, the power and performance assured by the vehicle is really remarkable. 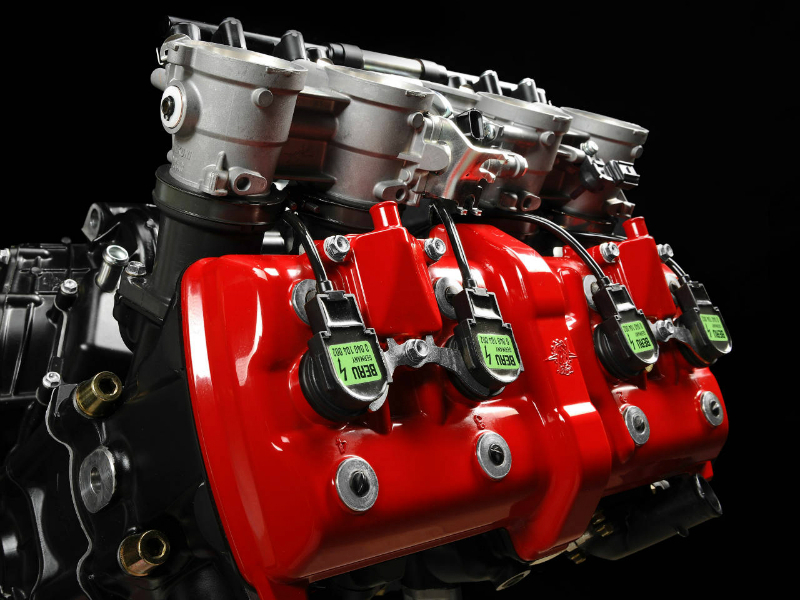 The vehicle comes with 4 cylinder, 4 stroke, 1078 cc engine with radial intake and exhaust valves to provide the best possible performance. The refined structure of the engine with all new camshafts, throttle bodies and intake tracts generate the maximum power of about 116 Kw at 11900 rpm and torque of about 100 Nm at 10100 rpm. With its highest possible power, the engine is simply admirable for its slipper clutch and traction control which has the power to satisfy every costumer. 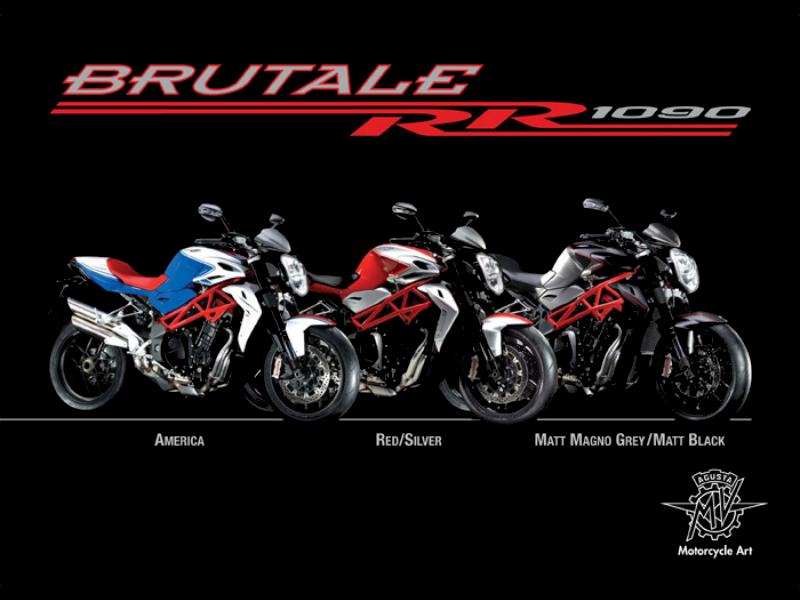 The new Brutale RR 1090 is all ready to impress costumers again with its gorgeous naked looks. The attractive curves, single piece comfortable seat, trendy headlamp design, stylish handlebars and broader wheels add greater charisma to the vehicle. The rightly positioned handlebar and foot rest not adds to the style statement but provide more and more comfort to the rider. On the whole, there is no one who is not impressed by its looks. The chassis of the bike makes it no less than a superbike which has the power to rule every road. For that smooth and trouble free ride, the vehicles come with telescopic hydraulic fork at the front and progressive single shock absorber at the rear. The efficient braking system including the front 310mm twin discs and rear 210mm single disc provide quick application of brakes even at short distance. 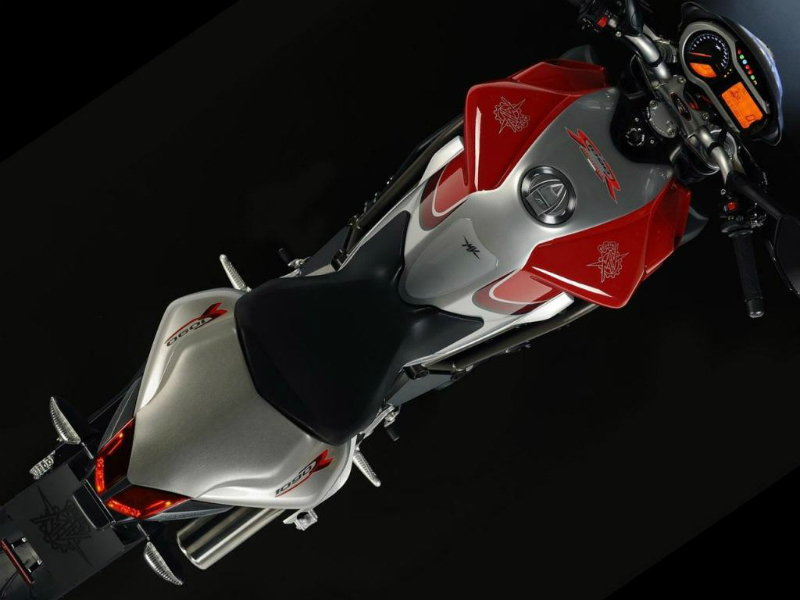 The exact mileage provided by Brutale RR 1090 is not yet known. The quoted ex-showroom price of this new vehicle is about Rs. 22,00,000 and the colors available with this are America, Red/Silver and Matt Magno Grey/Matt Black.